Inspired by some great feedback on our Ecommerce Price Perception and Image Size Study, we wanted to explore price perceptions again, this time related to differing product descriptions. 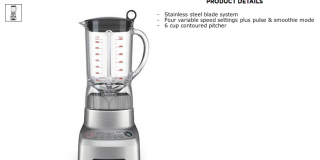 Do consumers find more value in a blender that makes creamy smoothies and shakes, or a blender with 750 watts of power? What type of product descriptions depict a seemingly high-value product, hedonic ones or utilitarian ones? In this CXL Institute study, we test three different products to explore this question. 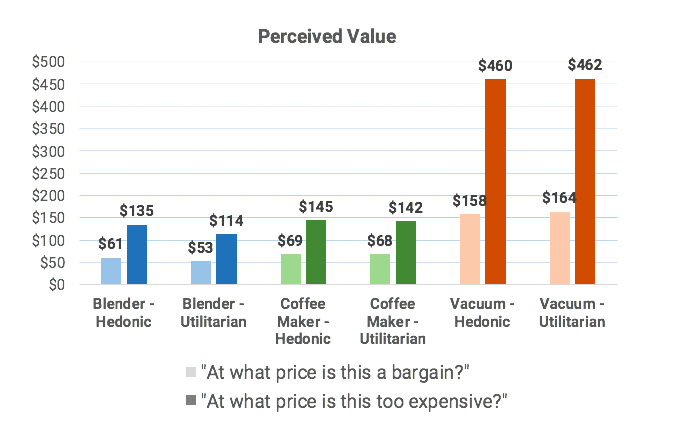 The hedonic product descriptions communicated a higher average value for the two less expensive products (coffee maker and blender). 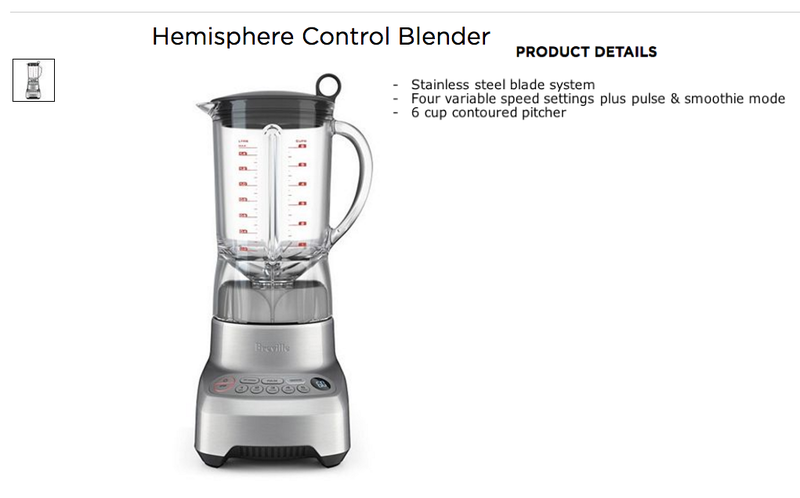 Participants found the blender significantly more valuable when they read the hedonic product description. 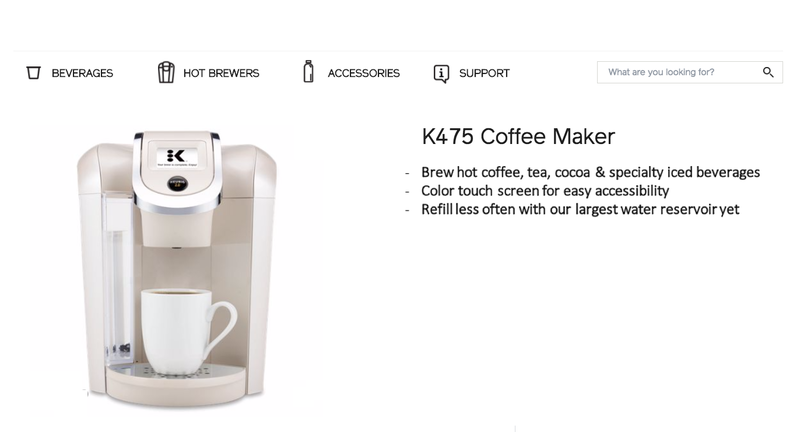 They also found the coffee maker to be more valuable when paired with the hedonic product description (yet this finding was not significant). The utilitarian product description communicated a higher average value for the expensive product ($1,000 vacuum). Hedonic (adj): Of, relating to, or characterized by pleasure. Utilitarian (adj): Made to be useful rather than to be decorative or comfortable. In this study, we apply both hedonism and utilitarianism to product descriptions to measure their effect on perceived value of a product. 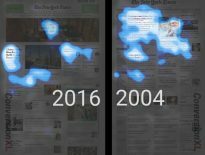 Does a product description heavily focused on the utility of the product increase perceived value? Or, alternatively, do pleasure-filled hedonic descriptions drive up the perceived value of a product? Study Question: Which of these descriptions makes a product seem more expensive? 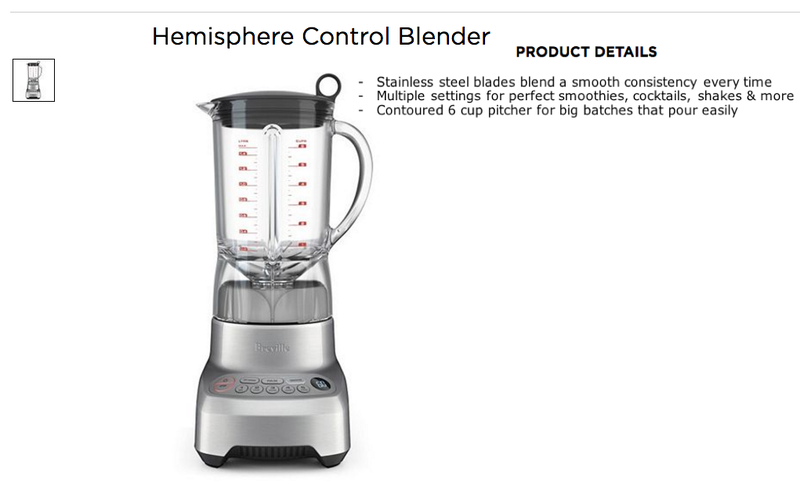 We tested three relatively similar products: a blender, a coffee maker, and a vacuum cleaner. We chose three similar products (all are household appliances). Additionally, all three products are “search goods“, meaning their quality can be (relatively) evaluated before being purchased. Experience goods are on the other end of the spectrum and are goods whose quality can only be evaluated once they’ve been experienced (e.g. a cruise package or massage). Imagine we chose to test vastly different products like a vacuum cleaner and a 60-minute massage. If we then found different results among these two products, the reason for these differences would be unclear. Perhaps the nature of the products played a part, we would have no way to know. By selecting similar products, we eliminate these types of uncertainties. The main difference between these three products is their prices. 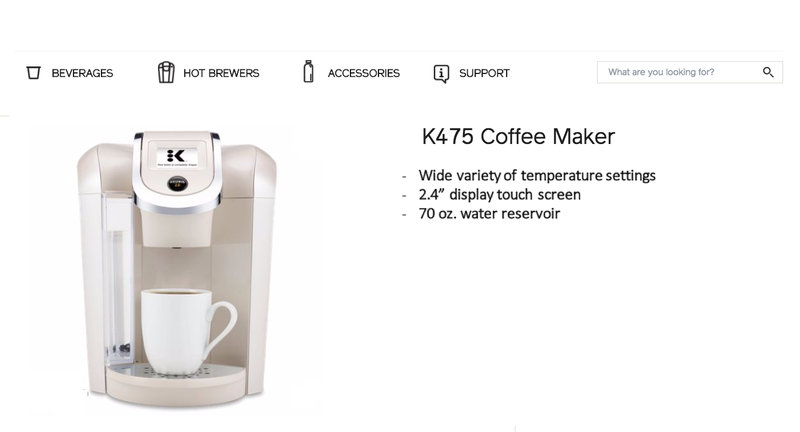 The coffee maker is originally priced at $149, the blender at $199, and the vacuum at $999. We were curious to see if more —or less— expensive products were particularly affected. 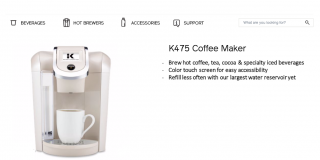 Before testing, all prices, logos, and irrelevant information were removed from product pages to eliminate price influences outside of the product description (e.g. if people see “Dyson”, they may also see “expensive”). Each product page had two variations: A variation with hedonic product features and a variation with utilitarian product features. The same features were used for both variations, just worded differently to suit each variation. 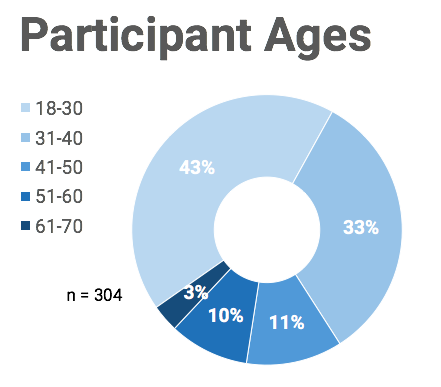 304 participants responded to the survey. While the hedonic product description did elicit a higher perceived value, the difference was not significant. While the utilitarian product description did elicit a higher perceived value, the difference was not significant. Between the hedonic and utilitarian descriptions, there were differences in perceived value for each product. 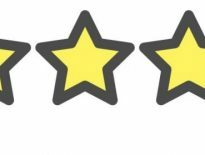 However, there was no overarching pattern in which type of product description elicited a higher perceived value. 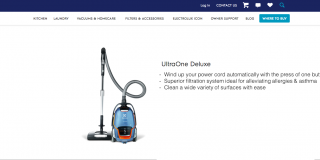 Utilitarian product descriptions communicate value for highly expensive products like the $1,000 vacuum. Hedonic product descriptions communicate value for less expensive products ($200 or less). These findings are limited to household appliances. It’s unclear whether they would apply to other industries or products. While we’d like to say “expensive products benefit from utilitarian descriptions, inexpensive ones benefit from hedonic descriptions”, we cannot say this with confidence. Testing many other types of products and services would be necessary for that conclusion. 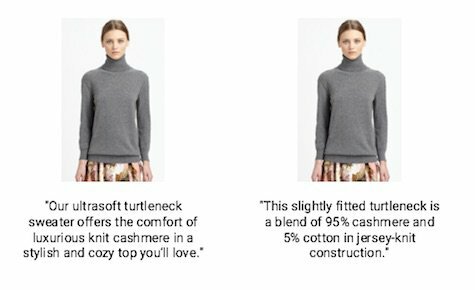 Other variations of product descriptions may elicit different value perceptions. Even if the descriptions remained utilitarian and hedonic in nature, different specifications might evoke different opinions about the product (e.g. 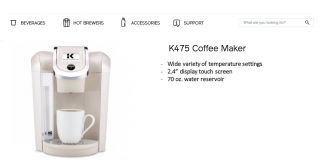 coffee maker has a 100 ounce water reservoir instead of 70 ounces). On one hand, the hedonic product descriptions communicated a higher average value for the two less expensive products (coffee maker and blender). On the other hand, the utilitarian product description communicated a higher average value for the expensive product ($1,000 vacuum). Hi Hanna, don’t we all. It was a quick study, and with all our research, sometimes it is more or less useful to certain people. And sometimes it misses the mark entirely, we’re simply going for it, sometimes we’re hitting the mark, sometimes not. Any suggestions or clarification? Great follow study! Would love to have seen another cleaning product or a cheap vacuum. The confounding variable here could be the fact that the blender and coffee maker have to do with food which is arguably more headonic than the utilitarian cleaning vacuum. But great concept! Hey Kalki, good point, we discussed putting more extremes in the test, likely could have added some clarity for sure. Thanks for the comment, cheers!